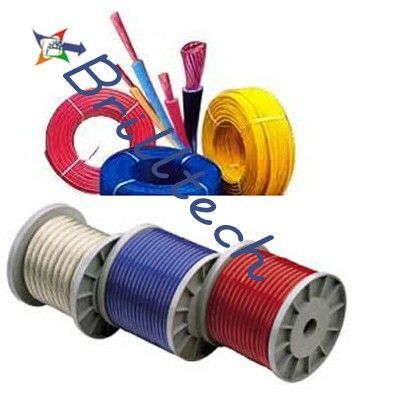 Brilltech is increasing colossal notoriety in the business sector for the accessibility of the Electrical Wire. The unmatched quality and fabulous execution of the wires is because of the utilization of magnificent quality crude materials like PVC/HR PVC/FRLS/ZHFR Insulated Copper Conductor. The purchasers from the whole way across the globe are putting in rehashed requests as these are accessible in Voltage Grade up to and including 1100 Volts and are a flawless match to the rules set according to IS: 694-1990. The organization has additionally discovered most extreme fulfillment to the purchasers by giving Single Core House Wires at business sector driving procedure and inside of the stipulated time allotment. Additionally, we are considered one of the famous House Wires Manufacturers, Supplier and Exporters from India.